The use of weight loss shakes is increasingly becoming very popular. Individuals who want to lose weight are turning to these products because they promise to promote a quick process of toning down and the development of lean muscles. For those who still want products with high nutritional value, these supplements offer the best option. However, the popularity of these products means that more and more shakes are being released almost every day. The user demand for weight loss shakes is massive. These products are now being sold from e-commerce sites, grocery stores, and other retail outlets. But how can you pick the best shake that has high-quality and guarantees user safety? This article gives a review of the top weight loss shakes on the market. What’s a Weight Loss shake? It’s a low-calorie beverage that contains ingredients which are blended together to spark weight loss. A weight loss shake often has protein, fiber, carbs, minerals, and vitamins. Some of them may have prebiotics as well as sugar. Most weight loss shakes are sold in powder forms and they are available in different servings. The main benefit of weight loss shakes is that they are used to promote weight loss. They do this by increasing metabolism and energy levels while reducing food cravings by suppressing appetite. Besides that, their wide ingredient variety makes them beneficial in increasing endurance, improving the digestive health, heart health and the possibility of developing certain medical conditions. The Isagenix diet is among the most popular and top-rated shakes in the world. Isagenix International, the company that’s responsible for manufacturing this supplement claims this diet supplement promotes faster weight loss and the results are long-lasting. Isagenix protein shakes for weight loss are calorie-controlled. The products contain milk protein and whey protein which help to curb hunger. Besides that, these protein sources are good for the growth and preservation of muscles. With about 24g of protein and 240 calories per serving, Isagenix satisfies food cravings for long hours. It improves the muscle tone and also supports the natural detoxification process of the body. According to consumer reviews, the ingredients which are used to formulate this diet shake leads to consistent weight loss. Isagenix is sold in Orange Cream Black, Sesame Strawberry Cream, French Vanilla, and Creamy-Dutch Chocolate. 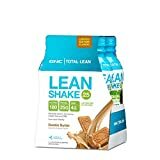 One of the best weight loss shakes brands is GNC Lean Shake. This is a fast-rising company that is quickly growing in popularity. GNC Protein shakes for weight loss are effective appetite controllers that are made with ingredients such as whey protein concentrate, whey protein isolate, and hydrolysates. The isolate has a low-fat content and its rich in protein which helps to support the growth of lean muscles. With 170 calories and 25g of protein per serving, this weight loss shake promotes a lasting feeling of satiety. It can suppress appetite for two to four hours. Additionally, GNC Lean Shake has fiber, vitamins and minerals such as Thiamin, Calcium, Vitamin D, Iron, Vitamin K, and others. It’s a nutrient and antioxidant-rich supplement that helps to improve immunity and increase the rate of metabolism. GNC Lean Shakes are available in flavors such as the Swiss chocolate, Vanilla Bean, and Cookies n Cream. Its consistency is desirable and creamier. Whey protein has minimal fat content which makes this shake safe. A chalky and boring aftertaste in some flavors. It is rated as one of the effective and best weight loss shakes globally. Herbalife is an organic-based meal replacement shake that is formulated with a unique blend of ingredients. Its manufacturing company, Herbalife, claims that these weight loss shakes help people to quickly slim down in a matter of a few weeks. Herbalife weight loss shakes are quick-fix weight loss products that are calorie-controlled. A single serving of this meal replacement shake contains 90 calories, 3g of fiber, 9g of sugar 9g of protein, and 13g of carbs. What makes Herbalife stand out are its effectiveness and efficacy when it comes to sparking weight loss. The supplement promotes the metabolism of fat, by increasing the energy levels in the body and accelerating the speed of metabolism. The result is that the excess fat that’s stored in the body will end up being converted to fuel. Additionally, the dietary fiber helps to promote satiety by enhancing the filling effect and reducing unhealthy cravings of junk and sugary foods. Herbalife’s basic flavors include Café Late, Mint Chocolate, Banana Caramel, Dutch Chocolate, and Roasted Peanut. 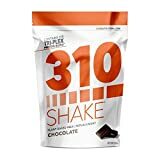 If you are looking for one of the best meal replacement shakes that offer variety and quality then check 310 Nutrition weight loss shakes. His supplement will not only change your physical appearance but also your whole lifestyle. In terms of versatility, 310 nutrition is sold as whey –based and plant-based shakes. The plant-based shakes contain a proprietary triplex blend of brown rice, hemp, and pea protein. The organic supplements are sold in mouthwatering flavors of Mocha, Chocolate, Strawberry, Salted Caramel, and Vanilla. With 15g of protein, 5g of fiber and more than 20 types of vitamins and minerals, the plant-based 310 Nutrition will keep you full until your next meal. It also has probiotics which promote the gut health and boost immunity. Meanwhile, the whey-based 310 Nutrition is sold under the vanilla flavor only. It contains a triplex blend of whey protein concentrate whey isolate, and milk protein concentrate. It’s a powerhouse that can effectively control your food cravings and boost energy levels in the body. The whey-based 310 Nutrition also has 15g of protein, 5g of fiber and almost 20 types of minerals and vitamins. Its source of fiber is a patented fibersol-2 compound which instills long hours of fullness. With about 150 calories per serving, Vega One has established its dominance in the weight loss industry with its high-quality ingredients and weight loss efficacy. The supplement contains 20g of protein and 4g of fiber which not only promotes a feeling of satiety but increases the metabolism of fat. Vega One’s source of protein is mainly pea, it helps to enhance the development of lean muscles. It’s a weight loss shake that is rich in antioxidants that are derived from pomegranate, sacha inchi, Maca root, kale, chia seed, acerola cherry, and others. Vega One is one of the best weight loss shakes that’s all-natural and vegan-friendly. The non-GMO, soy-free, and gluten-free supplement doesn’t have sugar and it’s available in natural flavors, French Vanilla, Chocolate, Mocha Berry, and Coconut Almond. Has high amounts of fiber and it can curb hunger for a couple of hours. Before using a weight loss shake, thoroughly analyze its ingredients. Weight loss shakes can end up causing digestive problems including stomach cramps, gassing, diarrhea, bloating, and other problems. Some people may end up experiencing anxiety, fatigue, headaches, nausea etc. Before using a meal replacement shake, first, consult with a physician. If you are an expectant woman, breastfeeding or you are about to go for surgery, exercise a lot of caution before using these products. Note that it’s important to use the meal replacements as recommended. Do not overdose on them as this would cause harmful side effects. A meal replacement shake should only be used only twice or once a day. Besides that, do not be inconsistent while using because you won’t be able to get any tangible results. Shakes have ingredients that help to enhance weight loss. They change the normal functions of various organs or systems, leading to weight loss. Although they have amazing benefits which cannot only be experienced physically but also mentally, be cautious when using these products. Additionally, avoid over-dependence by using them alongside diet plans that are filled with whole foods and a moderate workout program.